Botox® improves the appearance of worry lines, frown lines, crow’s feet- primarily used in the upper half of the face. Botox® works by relaxing these tiny facial muscles to lessen the visible signs of aging. After treatment with Botox®, the skin remains smooth and unwrinkled while facial muscles contract normally, allowing normal facial expression to remain. Botox® and this procedure can even be done during your lunch hour. No skin test required. Xeomin is the newest kid in the Botulinum Family. The main difference between Xeomin and the other botulinum toxins on the market, Botox & Dysport, is that Xeomin is more pure. It contains only botulinum toxin A, without any attached proteins. The attached protein just protects it in its natural state, but does not add any benefit to the wrinkle reduction properties. The current thinking is that patients may develop resistance to the attached proteins to the botulinum toxin, and not to the toxin itself. A potential benefit to the pure form of botulinum toxin, such as Xeomin, is that you are less likely to become resistant to it over time by forming antibodies to the protein. Xeomin has a different time of onset than Dysport (24-48 hours) or Botox (3-5 days); Xeomin may take 4 days before the full effect of muscle relaxation. The duration of Xeomin in clinical trials was very similar to Botox (3.7 months compared to 3.5 months) for similar doses. The best way to see how Xeomin works for you is to try it yourself. Xeomin is FDA approved for treating frown lines, just like Botox and Dysport. 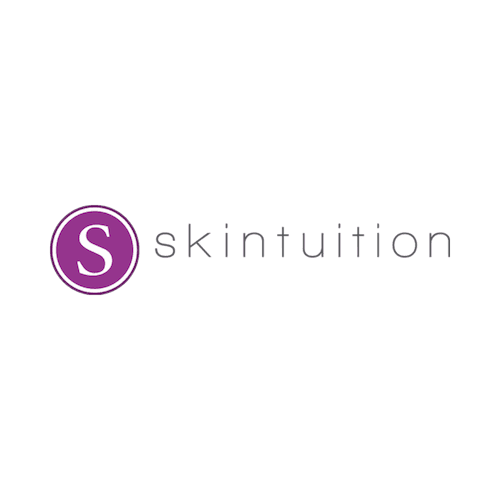 Call Skintuition to schedule your first Xeomin experience. Juvederm® is a safe, non- surgical treatment that smoothes wrinkles and facial lines by replenishing that natural connective tissue support layer beneath the skin. Juvederm® is made from hyaluronic acid gel, a substance found in the skin that is part of the tissue. The gel provides volume because it binds to water- it lifts as well as fills soft tissue-and lasts 9-12 months. Juvederm® is injected under the skin just beneath the surface, pushing it up from underneath, filling in wrinkles and creases around the mouth, nose, forehead and lips. We offer topical anesthesia as well to decrease discomfort. Some mild swelling and slight bruising may occur within the first 24 hours. Juvederm® is used for laugh lines found between nose and mouth, “marionette” lines (around corners of the mouth) and for lip augmentation. Belotero® is a clear, colorless hyaluronic gel similar to existing dermal fillers, but has a unique creation process that is said to provide more “elastic” properties. One of the natural functions of hyaluronic acid is to help provide structural form and shape to the external features of the body. This property of hyaluronic acid is the basis for Belotero’s effectiveness as a dermal filler. Approved by the FDA in November, 2011, Belotero is proving to be a solid replacement for collagen fillers which worked so well for fine superficial wrinkles and lines. Sclerotherapy is the optimal treatment available to improve spider veins and reticular( feeder veins) on the legs. An FDA approved solution called Asclera® is injected through a small needle into the vein. The solution damages the vein, which shrinks and is eventually absorbed by the body over time. Following treatment, bruising may result. The vessels generally disappear over a period of 2 weeks to 2 months. Optimal results usually require 3-4 treatments, with a few weeks healing time in between. The goal is to produce a 70-80% improvement overall. The treated veins will not return; however, additional treatments may be required to treat future veins in untreated areas. Patients can resume regular activity immediately after treatments .